My life turned upside down twice in the summer of 2005. In June 2005, I worked as Creative Director at a small design agency. It was a sleepy day at the office, when my boss called the staff into a meeting and told us all a surprising piece of news. We were all shocked and unsure of what would come next. That evening, when I returned home and told my wife, Jessica, we stayed up late trying to determine what we should do. I and the rest of the staff had been laid off. On top of that, Jessica was 8 months pregnant. I was now without work and soon she wouldn’t be working either! How were we going to support ourselves and the baby?! The first thing I did was send an email out to everybody I knew, explaining the situation and asking for help. I also asked my friends to forward the email to their network. I got a couple of small video jobs out of that. My email also found its way to John de Jong who needed some updates for his website. I still don’t know who made the connection but John became and continues to be an important client and I’ve helped him with web production, graphic design, and video production. Along with looking for small jobs, I also started sending out resumes and interviewing for full-time positions. Of course, then a second, even bigger, life-changing event happened. My son, Jacob was born on July 25th. We thought we were prepared but there’s only so much shelter you can take from a tornado. I found my way both with fatherhood and freelancing. I turned down a job interview for a firm doing interesting work when I realised that I preferred my new found independence and variety of work. I stopped sending out my resume and embraced the opportunities and challenges of running my own business. Along the way, being freelance has afforded me so much more time with my kids than I would have had working for someone else. Both events have been overwhelmingly positive but at the time, I really didn’t know what to expect. 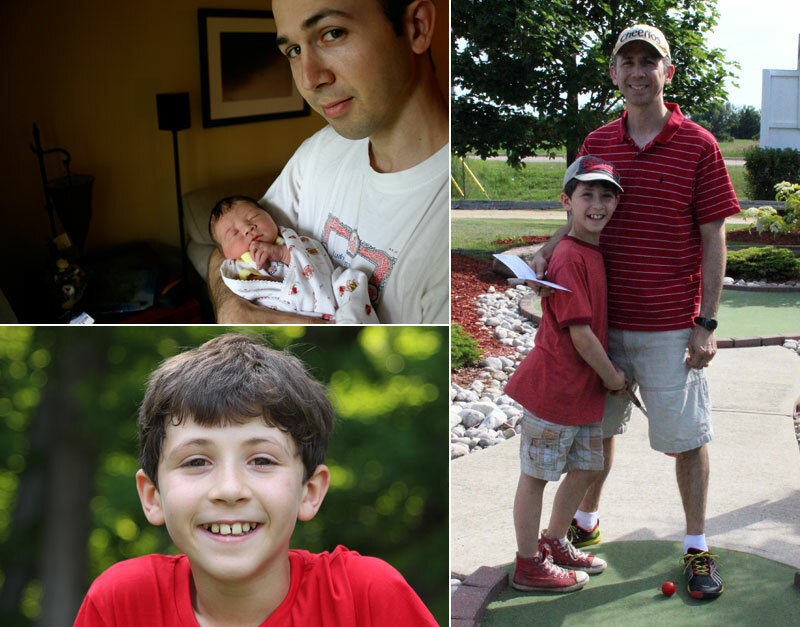 Now, I’m getting ready to celebrate my son’s 10th birthday and my 10th anniversary of going freelance.